Children should ideally be raised by both parents. Through parents, children are taught normal way of life as a human being. Can you imagine if a child was raised by an animal? Some children in the world are found alive and raised by animals. Consequently their behavior mimics the herd of animals. Let's take a look at the story of a child raised by animals. 1. Dina Sanichar was raised by a wolf. Dina Sanichar is a boy who lives in Sekandra, India. Dina lives in a cave with a herd of wolves. The boy was discovered by the hunter. When found, Dina moves and eats like a wolf. 2. The boy was raised by a goat. In 1990, a boy was found in the middle of the Andes mountains in Peru. The boy lives in the middle of a herd of goats. Allegedly, it has been 8 years old boy was living with a goat. His bone form is not normal because he long walk like a goat. The skin also thickened. The boy is then sent to Kansas for research. He was then given the name of Daniel. 3. Rochom P'ngieng lives with apes. Rochom P'ngieng has been separated from his family for 20 years. When the age of 8 years, Rochom P'ngieng had lost. 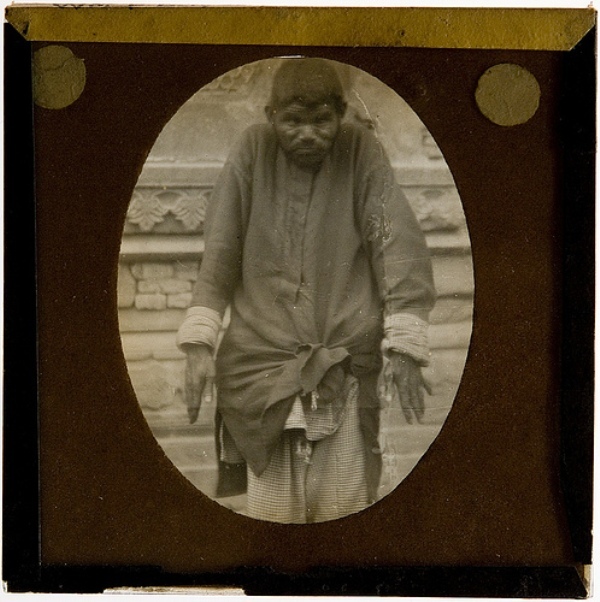 It turns out that apart from his family, he was treated by a group of monkeys. Rochom P'ngieng is now imitating ape's behavior. 4. Amala and Kamala the wolf girl. In 1920, Amala (18 months) and Kamala (8 years) were found in the midst of a herd of wolves. Allegedly both are not brother, but two boys who accidentally trapped with a herd of wolves. Kamala who has lived long enough with the wolf now behaves like a wolf. Amala and Kamala were discovered by a man named Singh. This man who saved both and helped them to be normal again like a human being. 5. Lyokha brought up by a wolf. 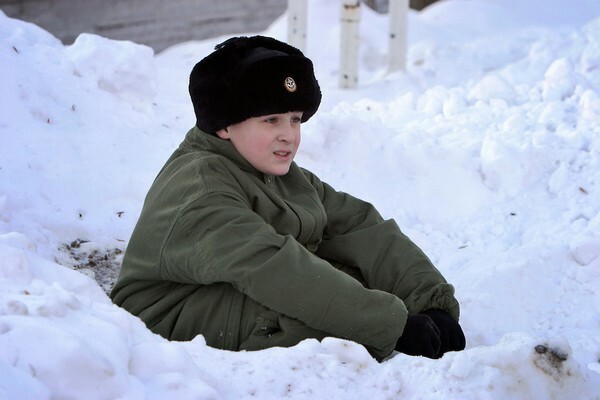 In 2007, police in Russia found a 10-year-old boy who looked cold. 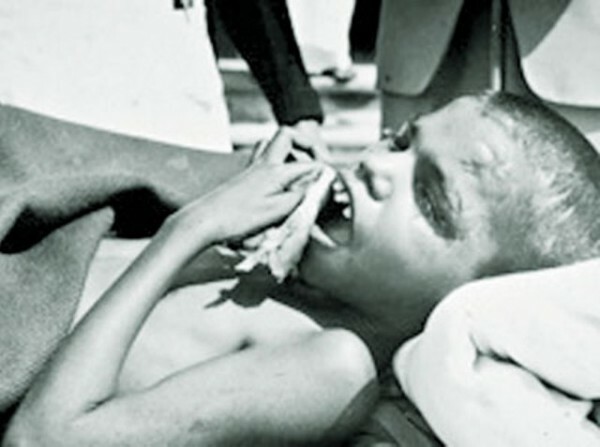 The boy was rescued, but instead biting the hands of the police. The boy known to be Lyokha is alleged to have long lived with wolves. His nails are long and he sounds like a wolf. 6. Vanya Yudin lives with birds. Vanya Yudin is found in a small apartment with a flock of birds. The 8-year-old boy is treated the same as a bird by his mother. Vanya Yudin apart from social life like human beings. He who lived long with birds began to imitate all the behavior of birds. 7. 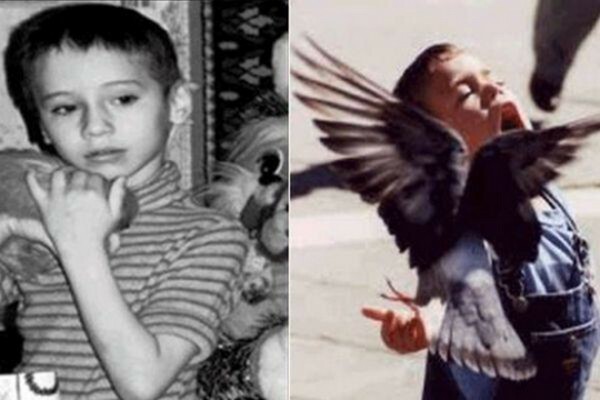 Bello, a boy who grew up a chimp. Bello is a Nigerian boy found living with a herd of chimpanzees. 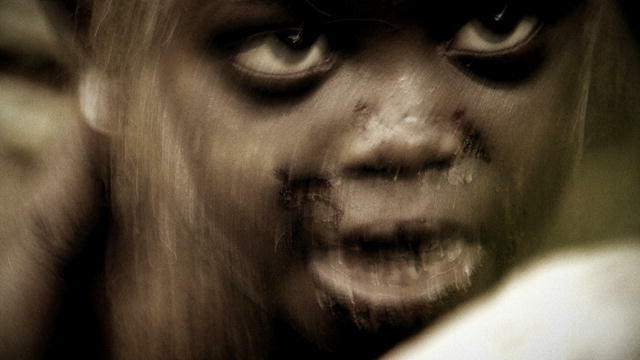 He was discovered in 1996 in the middle of Falgore forest, Nigeria when he was 2 years old. Bello suffered a mental disorder. He also behaves like a chimp. When Bello was eight years old, he started back to normal even though a bit of chimp habit still carry. 8. Oxana Malaya lives like a dog. In 1991 Oxana Malaya was found inside the doghouse. When found, he was walking and behaving like a dog. Allegedly he lives in a dog house because his parents who alcoholics forget to have left it outside the home. 9. John Sembuya was raised by a monkey. After his father killed his mother, the Ugandan boy named John Sembuya fled into the forest. He then lived with a herd of monkeys. He was found with monkey-like behavior. John Sembuya can only eat raw food. 10. Ivan Misukhov lives with a herd of dogs. The boy from Moscow, Ivan Misukhov was adopted by a herd of dogs. He was only four years old when he lived with dogs. Ivan then mingled with the dog even became the leader of the herd. Eventually Ivan was found by police and then rescued to live a normal life like any other human being.